This patented system is much safer, faster and more cost effective than any other used on mine-sites today, reducing downtime by up to 80% and costs up to 75%. It is the way of the future. It is difficult to understand just how good this system is until you’ve experienced the difference for yourself. No company that has used Pakka Jacks has ever returned to the old systems. The Pakka Jacks system is a game changer, a revolutionary new approach that has been tested and refined for over ten years in some of the toughest mine conditions in the world. In that time it has been adopted by most of the major mining companies in the country. This is no longer just a really good idea, it is the benchmark, internationally in terms of safety, cost and machine availability. This is the future. If you want to be a part of it, give us a call. If this system just improved safety by a large margin, which it does, it would be amazing. The fact that it does this while slashing costs and downtime is the stuff of legend. It is also the only system in Australia that meets the current Workcover regulations. The Pakka Jacks system achieves the same results as current methods with less workers, in much less time and without the use of multiple cranes. Standard machine maintenance projects can realize savings in the order of half a million dollars. Over 90% of all Pakka Jacks projects have achieved savings greater than 50% compared with old methods. The different approach utilized in the Pakka Jacks system radically changes the way maintenance projects are handled. Standard jobs can be reduced from 9 days to 2. This is not an improvement of 10%, or even 20%, which would normally be incredible. This is an improvement of 78%, or 7 days. That’s 168 hours of extra machine availability. Safer, faster and more cost effective - the Pakka Jacks system radically improves all aspects of on-site machine maintenance. This is one of the most awkward, and important aspects of dealing with large machine maintenance. Pakka Jacks are the only lifting system where the load isn’t suspended at any point, it is always supported. 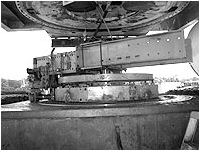 The unique self-packing mechanism means that the load, using a Pakka Jacks system, is always supported, at every stage of the lift. This means that the area under the load can be accessed at any stage. This single benefit has enormous ramifications for maintenance work. Work site safety is greatly enhanced while making the work much easier and faster. 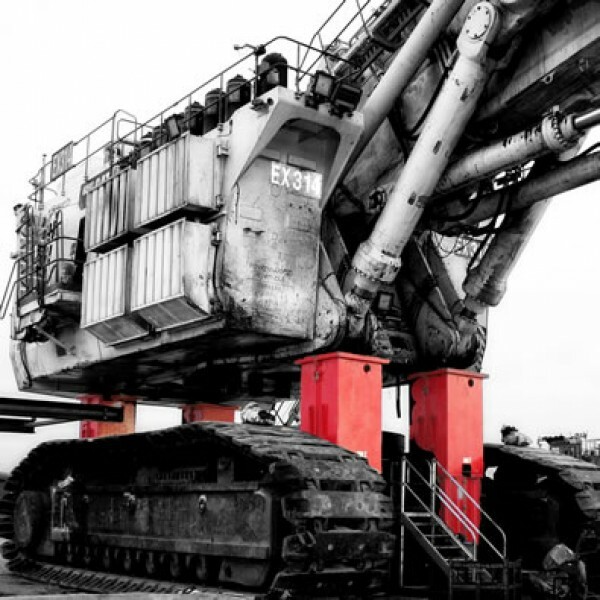 Many mine maintenance procedures currently employ dual or multiple cranes. This is expensive, complex and has a high degree of risk. There has been a lot of attention recently on the dangers associated with multiple crane lifts. They are intrinsically complex and high risk. They are also expensive, particularly when you take into consideration the additional safety allowance (reserve capacity) required for each additional crane. The Pakka Jacks lifting system takes multiple cranes out of the equation. There is, in fact, very little craneage required at all. An additional advantage is that the Pakka Jacks system can operate in weather extremes where cranes are unusable. Recent failures have made multiple crane lifts a hot topic. The Pakka Jacks system has been designed to handle side-loading, a critical safety feature on work-sites exposed to high winds, blasting and variable ground conditions. Both the system design and the lift units themselves contribute to a side loading capacity that has been independently certified to meet all relevant standards. So the Pakka Jacks system is just as safe as the stands you use every day. Compared to current systems, which have little or no inherent side loading capacity, this is actually an enormous benefit, greatly reducing risk of injury or catastrophic failure. Hydraulic injection is horrific, both on the personal and commercial levels. The Pakka Jacks system has been specifically designed to guard the operator against this in all aspects. Features like an enclosed control console, completely separating the operator from the hydraulic lines, and fully enclosed high pressure hydraulics in the lifting units, mean that workers are far better protected from risk of hydraulic injection. Hydraulic pressure is only present during the relatively brief period of active lifting or lowering. At all other times, the high pressure hydraulic system is inactive, and the Pakka Jacks units function purely as certified stands. This effectively removes all risk of hydraulic injection for the majority of the maintenance period. We take hydraulic injection seriously. The whole system has been specifically designed to minimize all risk in all situations. 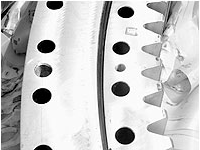 Standard procedures are commonly completed in less than a quarter of the time, often with reductions of 7 days or more. On most mine sites around the world today, this would be regarded as pure fantasy. On the mine sites that have utilized the Pakka Jacks system it is just regarded as jaw-droppingly good. With the Pakka Jacks system, there is no longer any need to sequentially remove major components, one of the biggest factors contributing to maintenance duration. When downtime is costed at $1K per hour or more, every day has a huge impact on running costs and overall site profitability. Seven days of downtime translates to 168 lost hours and has a big impact right along the work stream. When this downtime is a result of breakdown, rather than scheduled maintenance, the losses are even greater. Another benefit of reduced downtime, and reduced maintenance cost, is that it allows for maintenance to be performed more regularly. This translates into greater machine availability, longer machine life and much greater throughput and profitability. With less labor, minimal craneage and taking only a fraction of the time, cost savings of over half a million dollars are common, for single maintenance procedures. In over 90% of actual cases, cost savings greater than 50% were realized, compared to previous procedures. In some cases, the costs were reduced by over 75%. To be really clear on this; you pay less than half the money for a job that takes only a quarter of the time, with greater safety - and you get the same result as you did the old way. If you’re still doing it the old way, you need to give us a call. Improved safety at half the cost and in a quarter of the time - with the same result. Why haven't you called us yet? Having a single operator controlling the entire lift, with excellent visibility and the choice of full automatic or manual control is a vast improvement on other current methods. Compared to multiple cranes and manual packing, or any other current method, the operator of the Pakka Jacks system has far more control. The control console can also communicate securely online, allowing remote users to check diagnostics, change settings or just monitor the lift. Complete QA audits can also be delivered for the entire lifting operation. Greater control means improved safety, flexibility and efficiency. 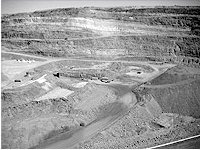 Mining work-sites recently came under Australian Workcover regulation. This has immediate implications for maintenance work on vehicles, all of which are met by the Pakka Jacks system. The Pakka Jacks system is the only Workcover approved, self-supporting jacking system in Australia. Given that Australian standards are some of the toughest in the world, we are very confident that the Pakka Jacks system should meet or exceed current requirements in mine sites across the globe. All of these benefits flow from the fact that the patented Pakka Jacks system is a new way to perform an old task. This system is so much better than current methods, it almost seems unfair to compare results (but we’re still going to do it). The game has changed, and it’s all good news. Worker safety has improved, machine availability has increased and costs have been slashed. Join some of the world’s leading mining companies and get the same advantage they already enjoy on their sites. Give us a call. The Pakka Jacks system changes the game in terms of safety, machine availability and costs. To get back in the game, you need to call us.